When it comes to home cinema, it can be easy to tell when you need to upgrade your projector – you simply need to know whether you’re happy with your viewing experience. For schools and businesses, however, knowing when the right time to upgrade your projector is can be a tougher affair. Often in less frequent usage and held up to less strict standards than under home cinema conditions, there’s a tendency to ‘set and forget’ projectors, letting them languish for year after year without upgrade. So, how do you know when the right time is to take the plunge and invest in a new projector? As a leading data projector supplier within the UK, we know a thing or two about the requirements of businesses and schools for their projectors. Here’s some tell-tale signs it’s time to upgrade. Projectors might have a longer shelf life than many pieces of technology, but ultimately, they’re prone to failure just like anything else. Whether that’s spent bulbs, board damage from overheating or broken I/O ports, it’s worth weighing up whether repairing your old projector is worth it, compared to the cost of a newer, more effective projector which will give you many more years of usage. Perhaps the biggest reason to upgrade your projector is simply that, over time, isn’t able to keep pace with modern technologies. Recent years have seen largescale movements towards next-gen connection technologies like HDMI, Mini DVI and even USB-C. Modern projectors will allow these devices to connect to them without the use of an adaptor, effectively future-proofing them. In an age where we increasingly send video not from desktop PCs, but laptops, tablets, smartphones and more, these kinds of inputs are essential to our projectors staying useful in the long run. No matter how important inputs are, they’re not the be all and end all, because you’ll also find that aspect ratio, resolution and brightness levels can all affect how useful your projector is on a day to day basis. Just like any piece of technology, the incremental improvements seen year on year eventually snowball to create vast superior products. 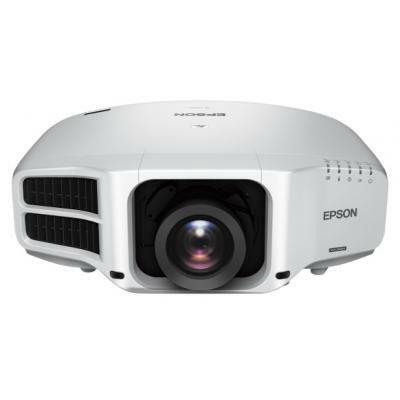 For technology which is in use for year after year, like projectors, that means when you decide to upgrade, you can be confident of getting a vastly improved projector. For schools and businesses, that means you’ll be getting a brighter, sharper projector which boots up faster and lasts for longer on a single bulb. For bright, large rooms, those advantages simply can’t be overlooked and make for a compelling reason to upgrade. If you think it might be time for your school or business to replace your old projectors, get in touch with a member of our team today, or check out our unbeatable range online. There’s no excuse for bad projectors, so don’t delay!